Today I can very happily announce that my nasty old grill has been put to the curb and I’m now the proud owner of a Char Broil Big Easy Smoker. I haven’t been this excited about grilling and also about blogging in a long time. Are you familiar with the Char Broil Big Easy Smoker? If not then let me introduce it to you. I think the real name of it is the Char Broil The Big Easy Tru Infrared Smoker Roaster Grill. 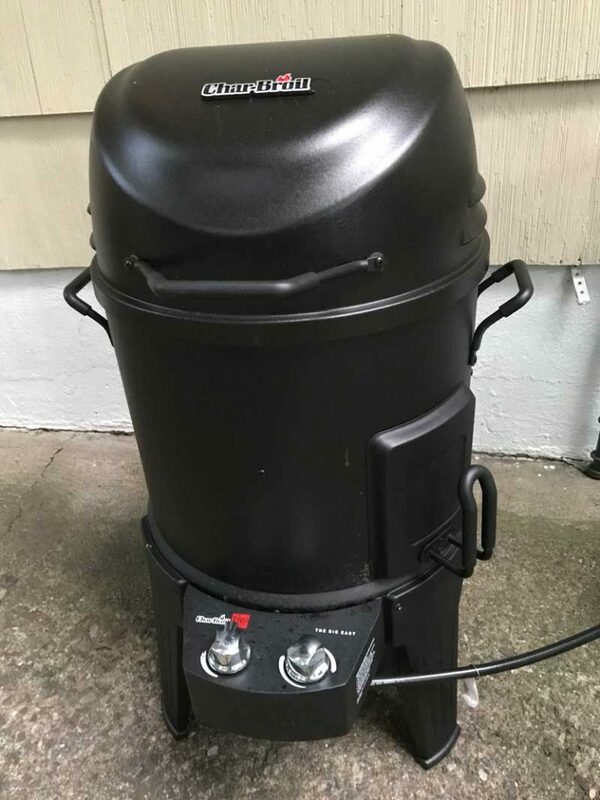 It’s looks like a smoker with that familiar bullet shape but it’s also a grill. There’s a removable circular grill on the top of it. It comes with a roasting/smoker cage that fits inside underneath the grill. I plan on filling that cage up with ribs, brisket, chicken and even a whole turkey. There’s also a smoker box built into the side of it. Fill the smoker box with wood chips or pellets and you’re smoking. Leave it empty and you’re roasting. It’s easy to use and works great. That Tru Infrared feature of the Char Broil Big Easy Smoker is what makes it so easy to cook juicy meats. The way it works is that the burner is within a metal wall. So the flame is never near your food. The flame heats up the metal and the hot metal cooks your food with infrared heat. And this keeps the food from drying out. It also prevents flare ups that happen when the fats drip into the flame. These flames are safe behind the metal walls. My parents have the Big Easy Smoker too. We’ve enjoyed a few Thanksgiving turkey dinners and Easter briskets at their house and that sold me. My mother saw it late one night on the Home Shopping Network and ordered it on it spot. I had a similar experience because I already saw it in person and after I binge watched all of the HSN videos on YouTube, I had to have it too. I’m not kidding, watch the video I linked to below and you’ll want one too. These HSN hosts are highly skilled salespeople. But come on now. 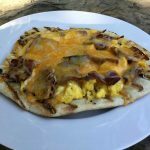 You show someone a bacon wrapped grilled cheese sandwich made on the Char Broil Big Easy Smoker and you’re going to sell a Char Broil Big Easy Smoker. But they don’t stop there. They make a clam bake, brisket, ribs, chickens and even Caesar Salad. This guy just keeps pulling amazing looking meals out of the char broil big easy smokers that he has lined up in the studio. Show me doughnuts on a grill and you’ll get a new customer. 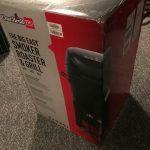 So anyway, my new goal for the summer to is to start blogging about all the awesome things I can make in this smoker roaster grill. 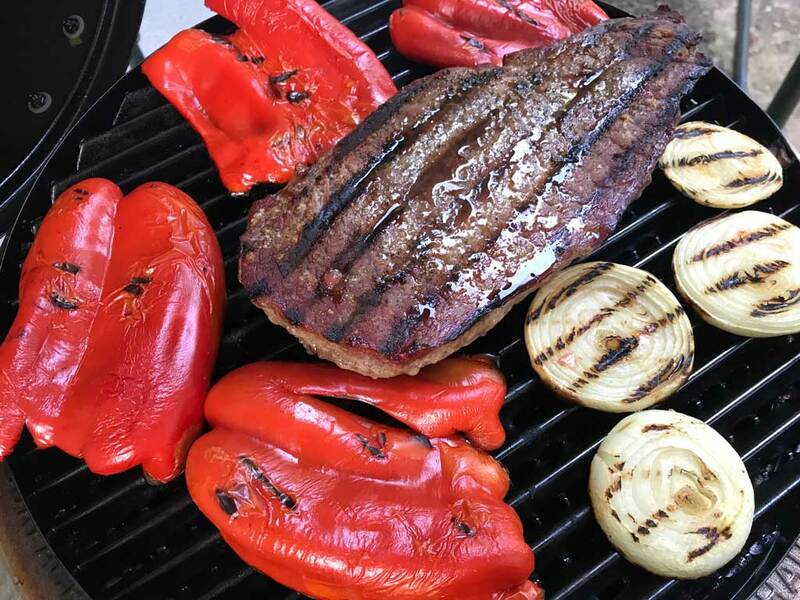 So far I’ve gotten much more use out of the grill features than the smoker and I”ve made burgers, dogs, London Broil, chicken breast, pork chops, grilled vegetables and even a few pizzas. 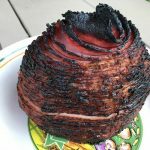 Smoking meat is an art so I’m taking it slow and not trying to bite off more than I can chew but it was very easy to put a spiral ham in there. There’s ribs and brisket in my future. Here’s an Amazon link if you’re interested. Enjoy the video!